Strong westerly winds deterred but could not stop the first catch of the Bluff oyster season. Barnes Wild Bluff Oysters manager Graeme Wright said it was more of a trickle of oysters than a flood when the boats headed out on Wednesday. He estimated about 4500 to 5000 dozen oysters had been harvested on the first day of dredging. Polaris skipper Bill Gold said a strong westerly wind in Foveaux Strait cut short the first day’s dredging, with his boat out for only about seven hours. Gold said there was a good chance they would get out again on Thursday if the forecast held up but the weather in Southland had been anything but predictable recently. 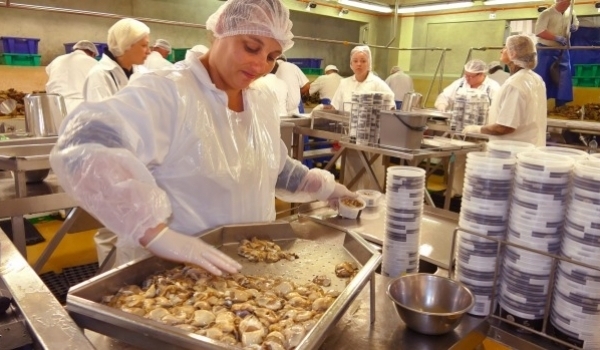 Wright said demand for the delicacy was just as high as always, with the first oysters making their way into Invercargill on Wednesday. 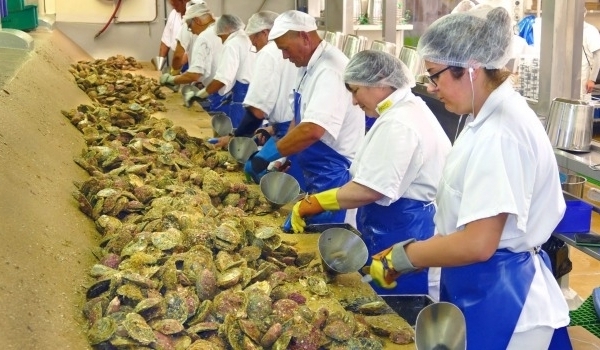 As for the quality of this year’s crop of oysters, Wright said it was still a bit early to tell. “I’ve only seen one boatload so far. According to some pre-season surveying of the fishery, Wright said it was likely the amount of oysters on offer would probably be a little less than usual. “Foveaux [Strait] is a very unique environment. It’s just one of the intricacies of the fishery. National Institute of Water and Atmospheric Research fisheries scientist Keith Michael said while replenishment rates were up on previous years, it continued to be an issue. “What we’ve found is that since 2010 replenishment has been low, much lower than the long-term average. While Michael said it was too early to give definitive results, preliminary survey data showed oyster numbers were likely to be similar or slightly lower than 2016. He also said this year the population appeared to be less densely packed than in 2016. While this would likely affect catch numbers negatively, it might also help prevent the spread of bonamia, the parasitic protozoan that has had a devastating effect on oyster populations in the past. Michael said bonamia spread much more widely within high-density populations, but was not as dangerous within a less densely populated fishery.